Monthly meal planning for beginners is a simple step by step guide to help you get your meals organised. This month, we shall be introducing all aspects of meal planning and discussing how to implement each step. Planning meals has never been easier with our free templates, meal planning calendar and monthly meal planning tools! Meal planning will mean different things to different people. To some people, it will involve getting the main dishes on the table as quickly as possible, to others it might be getting a month’s worth of meals planned far in advance. Some people might want to start meal planning to start a healthy eating plan or may want to create healthy diet plans for weight loss. Meal planning to me, suggests putting procedures and habits into place each day, to enable someone to smoothly transition from their hectic workday into mealtimes, without having any last minute panics or quick dashes to the supermarket! A meal planner is a tool to use, to enable you to forward plan your meals, it can be created around your family schedule and could be a weekly meal planner or a monthly meal planner depending on how advanced you’d like it to be. The benefits of using a monthly meal planning calendar. Today we live in an ultra-busy world, we work longer hours than ever before, we have busier social lives than our predecessors did, and we spend more family time together than any other generation, focusing on after-school activities, sports clubs and parties more than ever before. Even though we have healthy food readily available to us whenever we would like it, many of us grab the first sugary or salty snack that we can get our hands on, and we are a nation of junk food addicts who are used to super speed food served in a blink of an eye. Any super organised person will tell you how much they rely on their meal planner to help them stick to a healthy meal plan and to avoid having to eat pallid unhealthy ready meals in an emergency. Monthly meal planning can be very daunting and overwhelming if you haven’t done it before but once you get into the swing of things you’ll never look back! If you are seeking to plan out meals for the week or month in advance, using a weekly meal planner or monthly meal planner can help you get organised. Food planning/meal planning is far easier than scrambling around trying to find something in the kitchen at 6 pm after a busy day at work, and it is definitely worth the effort! Making monthly food plans is a bit like going out for a run, the hardest part is starting! Making a weekly meal planner. Grab a pen and write down all the meals you usually like to eat throughout the week, it doesn’t have to be fancy just a quick list of 7 meals you and your family like to eat regularly. Write a quick list of the regular activities you attend each day and evening such as work, kids activities and sports, visiting relatives etc. Just to give you an indication of which blocks of time in your day you are going to be unavailable to make a meal from scratch. For example, if you are always at swimming lessons until late on Wednesday evenings, it would be tricky to prepare a big meal when you get in. Now you’ve got a basic outline of the days you are busy, and the days you are free, and the meals you like to eat. These weekly menu planners and grocery list is a simple way to plan healthy family meals a week in advance, and is designed to work well with my free planner pages which you can download by clicking the button below! This is a simple weekly menu planner with a grocery list. It has space to jot down anything you may have ran out of or any ingredients you may need to buy. To download this weekly meal planner template click on the download button below! Jot down on the weekly meal planner, all the activities you have on this week. Remember to include the weekends and any evenings you are busy and are not able to spend time a lot of time cooking. I find that I often need to grab a quick meal for the kids if their sports activities clash with meal times! Write down everything you and your family have planned this week! Write the trickiest meals on the days you have the most time! This is a slightly more in-depth meal planner than the weekly menu planner and is excellent to print if you have small children who have snacks and packed lunches for school as it includes a space for breakfast, lunches and dinners. This is a must for budget meal planning! To download click on the button below! Organizing your weekly meal planner by themes. A country theme, for example, like an Italian night, or favourite foods of the family night, a meat and vegetarian night, can take the boredom out of meal times and can inspire some fabulous dishes and get the creative and culinary juices flowing! My ideal night is the English night as I get my favourite egg and chips! to download this weekly menu planner template click on the download button below! This meal planner is a favourite in our house as everyone gets to eat their favourite meals during the week. My advice would be to start simply, so you don’t get overwhelmed, try planning and shopping just for a week until you get the hang of it. Using a family menu planner is a great way to get the family to eat together and a great place to start because you are not having to learn new dishes and probably have a lot of the ingredients already in your pantry. I have put together a beautiful FREE bundle of different weekly and monthly meal planner templates, try different plans to see which works best for you! Once you have got used to the weekly meal plan it is time to start monthly meal planning! Simply take the meals you’ve been eating for the week and transfer them to the monthly meal planner! If you have a few other meals you’d like to add to your plan, you can replace some of the meals with those for a couple of the days to mix things up a bit! click on the download button to get this monthly meal plan calendar. Jotting down the meals which take a lot of preparation onto the quieter days on your planner ensures that you have plenty of time on those days to prepare the time-consuming meals. Now you are in control of your meals for the full week; you know what you will be eating and when you’ll be eating it, so now you need to write a shopping list to buy everything you need! To download my monthly meal planner and grocery list just click on the button below! Meat such as chicken can be frozen and thawed the night before you need it, ready, to chuck into the slow cooker the next morning! In my post , Healthy Meal Prep Ideas, I will share with you some amazing meal prep ideas to make it easy and quick to knock up those healthy meals in minutes, I’ll also be sharing with you my tips on how to prep those healthy meals for the next step in our meal prep extravaganza! Don’t miss it, subscribe today to receive our updates! 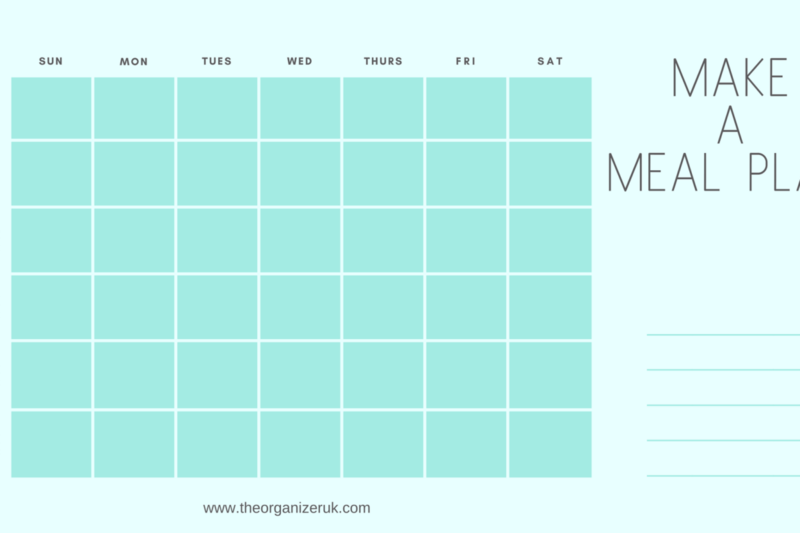 If you’re a beginner why not try downloading some of our beautiful meal planning FREE templates to see which would fit into your weekly schedule. If you’re searching for that simple and super versatile recipe then we have got you covered! How can I use the monthly meal plan on a budget? Monthly meal planning is perfect for people on a budget because there are no special ingredients or expensive gadgets to purchase. All my meal planner templates are free to download and you can get started straight away. All you need to do is follow the simple steps outlined above using the meals you already cook on your budget and start your monthly meal planning or your cheap weekly meal plan! What are some good monthly dinner menu ideas? I’ve put together some of my go-to family dinner recipes which are also perfect for batch cooking and freezing to get you started you can check them out by hitting the button below! How do I make a healthy monthly meal plan? you should find that the monthly meal planning lends itself perfectly to anyone on a healthy eating plan, as you can prepare and chop all your healthy foods in advance with a little planning ahead and meal preparation. For more information on how meal prepping can help you to create a healthy meal plan and healthy monthly meal plan on a budget click the button below! How to do I know which is the best meal planner for me? If you are new to meal planning I suggest you start off on a weekly meal planner and just stick to the same seven meals each day of the week. If you find one meal isn’t working for your family then swap it for a different meal, that’s the beauty of meal planning, you can adapt it entirely to fit your lifestyle! one you have got used to meal planning you can move on to the monthly meal planner.